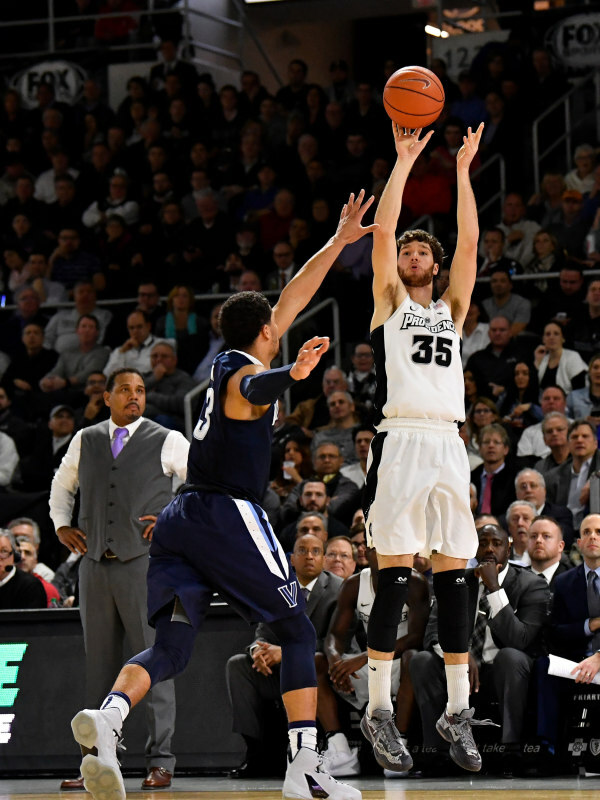 Providence College Sophomore Ryan Fazekas confirmed that he is transferring from PC following a report from Jeff Goodman at ESPN. Providence wing Ryan Fazekas is transferring, source told ESPN. The 6’8” sharpshooter from Indiana will have to sit out a year before having two years of playing eligibility left for whichever school he ends up choosing. In looking at some of the reports, it looks like he will trying to move closer to home for his next basketball landing place. Unfortunately, some of the schools around Indiana actually play in the Big East (Butler, Marquette), so that would immediately cancel those two out from competing for his talents. I wanted to take a look back at his recruiting from a couple years back to see if that might shed some light on where he might end up deciding to go. A lot of the time, a player will have a personal relationship with a previous coach that will determine where they transfer to. 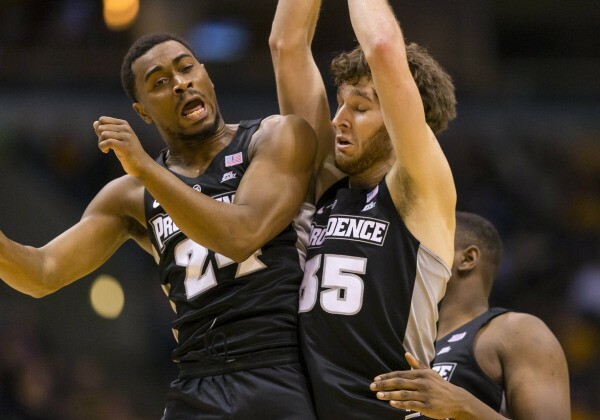 I remember Carson Desrosiers had a relationship with Assistant Coach Jeff Battle while he was at Wake Forest and that led him to eventually transferring to Providence. Providence was the first to offer Fazekas. With the Northwestern Wildcats earning their first ever NCAA Tournament win this year, that would be a nice place to land for Fazekas, with that team trending upwards. Every team can use a shooter like Ryan. He is a one-man zone breaker. Ryan’s Freshman year at PC was disrupted by a battle with mono in the middle of the season that saw the already skinny frame of Fazekas dwindle down to a stick figure. Fazekas had fought his way into the starting lineup at the beginning of the year alongside future NBA players Kris Dunn and Ben Bentil. Before being sidelined with mono, Fazekas was drilling threes at a smoldering rate. Through the first 9 games, he was 17-36 from three, good for 47.2%. He was a perfect compliment to Kris Dunn’s slashing game. After missing 6 games, Ryan slowly worked his minutes back up over the next few games but the weight loss really took a toll on his thin frame. After coming back, over the next 19 games, Ryan shot just 17-63 from three (27.0%). In double the amount of games, he made the same number of threes as he did through the first 9. At the start of this season, with a full off-season for Ryan to work himself back into actual basketball shape and put back on some of the weight and muscle that he had lost, expectations were high. In the 13 non-conference games, it appeared that Ryan’s three point shot was right getting to normal. He started the season 17-44 (38.6%) and hit multiple three pointers in the first 4 games of the season. However, with the emergence and continued development of Alpha Diallo, Ryan saw his minutes start to dwindle at the start of conference play. This isn’t a knock on Fazekas’ game at all, it’s just a matter of circumstance. Fazekas can still be a starter for a good team in my opinion. His ability to shoot combined with his size can be a factor as can be seen in stretches where he’s caught fire from distance. He would probably excel most on a team that plays a lot of zone given his defensive limitations or if he’s able to slide into a stretch-4 slot, along with putting on some poundage, I can see him fitting nicely into that role. 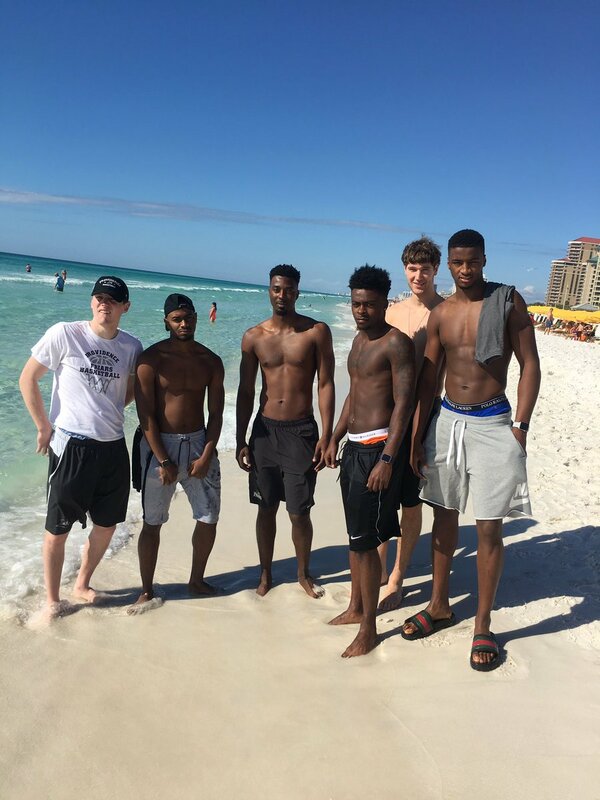 I can envision Ryan having the jump in points that Jalen Lindsey had this year for the Friars with that same shooting ability. Down the stretch of the season, I thought Ryan showed some adaptability to shoot off of the dribble as well, which would go a long way to developing his game. Of course, Jalen was allowed more playing time when struggling with his shot as he was such a good defender. Ryan doesn’t currently have that luxury. 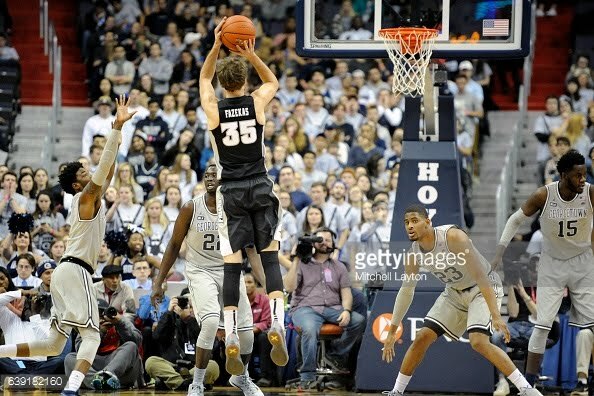 From all accounts, Fazekas is a great kid who bought completely into Ed Cooley, the Friars, and his teammates. I wish nothing but the best for the him in the future. Once a Friar, always a Friar. A couple of my favorite Ryan Fazekas photos from his time with the Friars. Smart move to hide behind the in-shape guys.